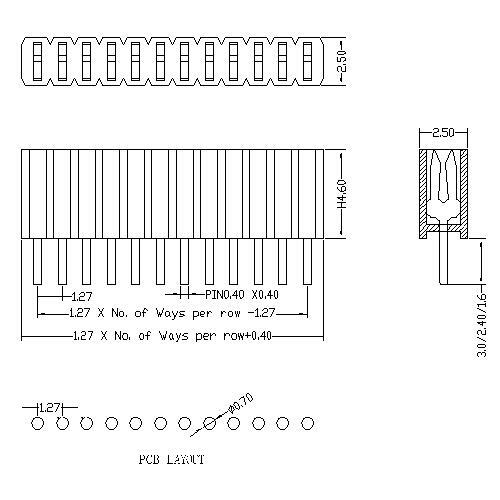 Shenzhen Antenk Electronics Co., Ltd. recently introduced a 1.27mm pitch Female Header Single Row Straight Type connector. 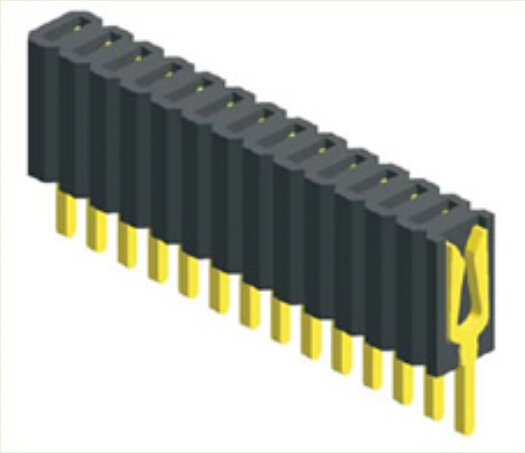 We mainly produce high quality Board to Board Connectors, Wire To Board Connectors,wire to wire connectors, Modular Jack, terminal block, wire harnesses,cable assemblies and so on.All of our new products are and will always be designed for a various of application and to meet UL and CSA regulations,also EU directive ROHS compliant. More, The factory already acquired ISO9001 and ISO14001 international quality, environment systems certification. 3.Plastic High:4.60mm(Other sizes can be selected). 6.Pin Length:1.6mm / 2.4mm / 3.0mm . Looking for ideal 1.27mm BTB Female Connector Manufacturer & supplier ? We have a wide selection at great prices to help you get creative. All the 1.27mm Pitch Female Connector are quality guaranteed. We are China Origin Factory of High Frequency Female Connector. If you have any question, please feel free to contact us.